In this dark, compelling romantic thriller series, Gen Ryan weaves stories where fierce FBI agents have to battle for not only the truth but for their lives. On their quests, dangers will be faced, love will be found, and new realities will be discovered. 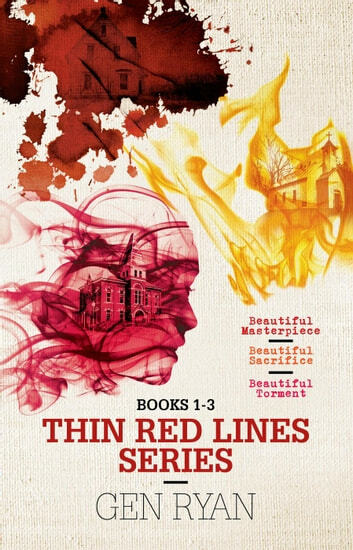 The Thin Red Lines series is captivating and dark with just the right amount of heat thrown in. Will Madison avoid being her father's last Beautiful Masterpiece? When faced with a police case that she can't say no to, Desiree and Hunter navigate through the investigation as she faces the horrors of her past. As they struggle to solve the case, it's up to Hunter to keep her tethered.